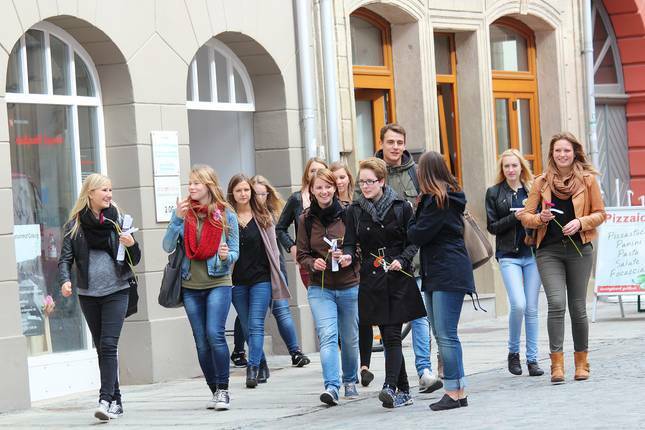 The former residence city of Coburg – small in size but unusually rich in architecture – is an ideal location for students who desire a high quality of life as well as quality in learning in a comfortable environment. 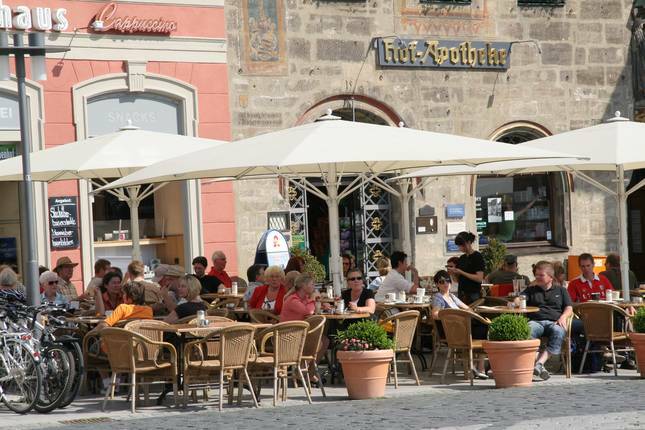 High-profile historical monuments characterize the old city with its cozy café-lined squares. A unique park landscape connects the city center with the Veste, one of the most beautiful castles in Germany, and one of the places in which Martin Luther translated the Bible. The cultural diversity of Coburg is surprising. It has its roots in the history of European nobility, which connects the duchy of Saxe-Coburg-Gotha with, among others, the English and the Swedish royal houses. Prince Albert, Queen Victoria’s husband and initiator of the first World‘s Fair, was from the Saxon duchy of Saxe-Coburg-Saalfeld. 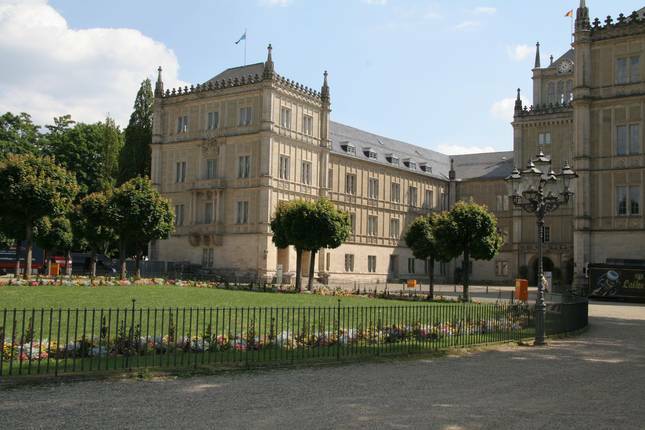 One encounters Coburg’s rich cultural heritage at every turn: While enjoying a concert, ballet or play in the historic theater; in the art collection in the Veste; in the many small castles in the area; but also on the marathon route around the city. The 40,000 residents of Coburg are proud of their city and their university. They take part in the cultural and social life of the city; they sponsor foreign students and are interested in the work of design students presented at the DESIGN CAMPUS OPEN. Given Coburg’s architectural and scenic beauty, the fact that it has the second highest density of industry in Europe is surprising. There are a large number of medium-sized engineering companies and automotive suppliers – as well as a lively creative scene. And Germany‘s largest car insurer is headquartered here. The future has already begun in Coburg. Coburg was rated place 14 in the Prognos Future Atlas 2013. The professors and the students of the Coburg University of Applied Sciences and Arts are a part of this accomplishment. ... eating a COBURG BRATWURST. ... testing your conditioning by cross-country skiing in the THURINGIAN FOREST. ... relaxing in the HOFGARTEN and watching the slackliners. ... having professors who are glad to take time for you OUTSIDE OF THEIR OFFICE HOURS. ... singing KARAOKE at the Irish Pub on Wednesday. ... having a few heated discussions with fellow students at PROJECT MEETINGS. ... noticing - to your dismay - that the SAMBA FESTIVAL is always at the same time as exams. ... benefiting from the professors' CONTACTS IN INDUSTRY. ... knowing about the GLOBAL HIGH-TECH COMPANIES located here.